The conflicts that descend from violent policies and the displacements that they cause in the name of development are the origin of the two projects that make up the sample. The transformation of the territory, memory and field research are the driving force of these works that make visible two struggles that, with an ocean in between, have much in common. 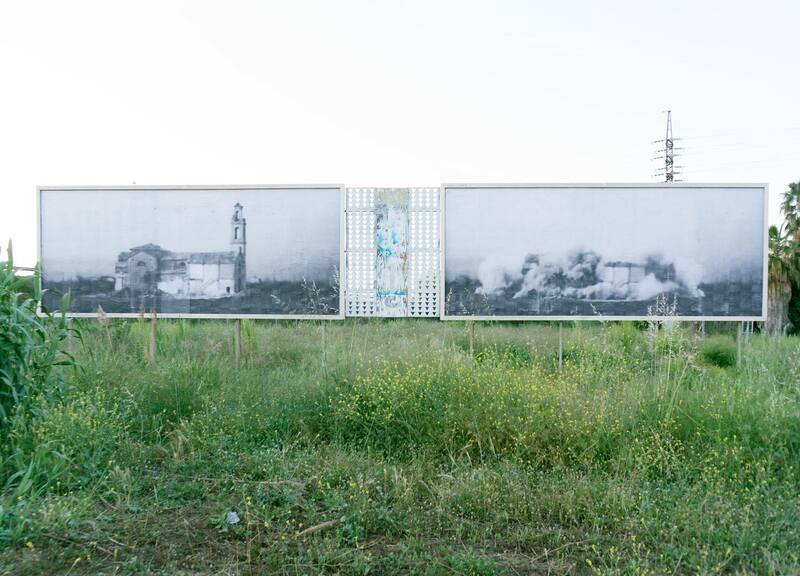 Anaïs Florin with her project “L’Horta, neither forget nor forgive” addresses the issue of the destruction of the Valencian Huerta from the intervention of billboards or work in four peripheral points of the city, Benimaclet, La Punta, Castellar-L ‘Oliveral and Campanar. Throughout five decades agricultural Valencia has suffered the destruction of its natural, historical, architectural and cultural heritage and, therefore, the expulsion of the population that inhabits this enclave through the implementation of aggressive policies and the planning of speculative infrastructures. Anaïs Florin activates the memory of these places through artistic interventions, generating a debate and inviting reflection and awareness. 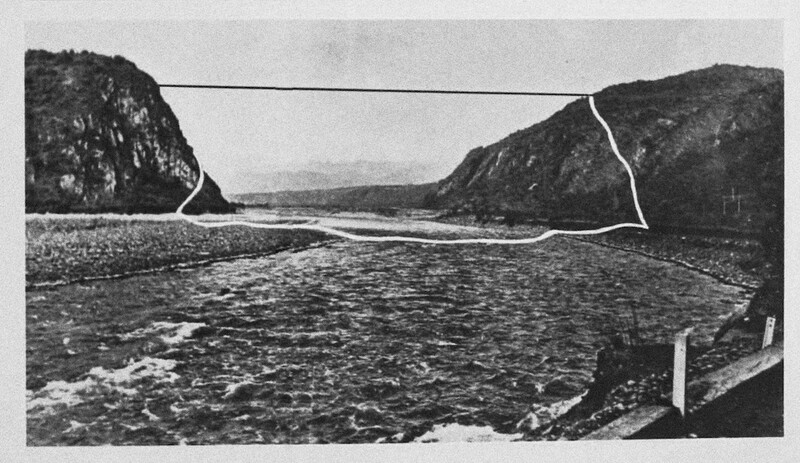 For his part, Francisco Navarrete with his project “Your subject is the confluence of all things” builds a visual story about the eradication of peasants who lived in the areas of Invernada and San Dionisio (Chile), where about 800 people were displaced for the construction of the Colbún-Machicura hydroelectric complex. Through a process of observation and inquiry into this space and dealing with the people who lived there, Francisco Navarrete proposes a poetic reading and circulates through cartographies, images and testimonies in which the meaning of Machicura in Mapudungun is taken as a germ (” wizard stone “) establishes insightful relationships between displacement, body and water. Visual artist currently living in Valencia, she has a degree in Advertising and Public Relations from the University of Alicante, a Specialist in Contemporary Art from the Higher Institute of Art in Madrid, a University Expert in E-Commerce and Community Management from the Open University of Catalonia , graduated in Fine Arts from the Polytechnic University of Valencia and is currently a student of the Master’s Degree in Artistic Production at the same University. She was part of the organizing committee of Comboi a La Fresca, Meetings of Collective Architectures (ES) 2011, founding member of Solar Corona as well as La Calderería. His artistic practice is inscribed mainly in the field of ephemeral intervention in urban spaces. Visual artist, resident between Spain and Chile, he has a Bachelor of Arts and a Master’s Degree in Visual Arts from the University of Chile. Currently, he is a fellow of the Contemporary Art Museum of Barcelona (MACBA), to study the Independent Studies Program PEI (2017-18). He has participated in artistic residencies at the BilbaoArte Foundation (ES) or Casapoli (CL), and participates in the long-term residences Hangar.org (ES) after being selected by the jury and granted a scholarship by Culture Funds, FONDART (CL). He currently participates in the artistic residence Transverse Aesthetics organized by IDENSITAT and Huarte Contemporary Art Center, in Navarra (ES). 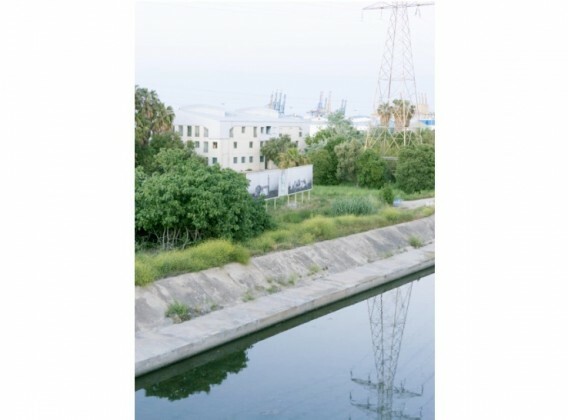 “Operate around the displacement” is the second exhibition of LABi 02 (Laboratory of thought, creation and diffusion of the image, 2nd edition 2018), a project of the Master in Photography, Art and Technique of the Polytechnic University of Valencia, in collaboration with La Posta Foundation, coordinated by a group of students: Paloma Sagüez, Rodolfo Muñoz and Clara Broseta Zamorano.